Communication Structure and Hierarchy; GM Holden Ltd. Literature evidence pointing to the fact that, effective communication within and without an organization has an effect on the likelihood of success. This report is an analysis of the communication structure and hierarchy of GM Holden Manufacturing Operations, South Australia. The analysis will be done by review of relevant literature, and personal experience having been an intern in the sales and marketing department of the company for the 2013-2014 financial year. The company has grown to be one of the seven fully integrated General Motors operations that are involved in designing, building, and selling of motor vehicles, engines, parts and components in Australian. Prior to the 2008-09 Global Economic Crisis (GEC) Holden operated with a top team effective model. Despite their success in the Australian market, Holden made the realization that they needed a higher leadership plane and collaboration. The leadership and management structure of Holden under The Board is centralized. The method of communication used by the top management in Holden to communicate decisions is mainly non-verbal. The leadership style used by the top management of Holden is generally autocratic especially in the management of operational decisions. In GM Holden, the work culture can be defined as ability utilizing, goal realization, growth and innovation. To better the decision making process and bring on board every members of the company, the top management should seek employee opinions and forehand then have these considered by the top management in decision making and the autocratic leadership style replaced with a democratic style. Communication with an organization is an essential that works to integrate the various elements/parts/departments of the organization for realization of the set goals. According to Arif et al. (2009), there is literature evidence pointing to the fact that, effective communication within and without an organization has an effect on the likelihood of success. Within an organization, communication of official information internally and externally is done through pre-determined structures that place the various players in the communication in a hierarchical manner. This report is an analysis of the communication structure and hierarchy of GM Holden Manufacturing Operations, South Australia. The analysis will be done by review of relevant literature, and personal experience having been an intern in the sales and marketing department of the company for the 2013-14 financial year. Holden began with saddler business in South Australia in 1856. Today, the company has grown to be one of the seven fully integrated General Motors operations that are involved in designing, building, and selling of motor vehicles, engines, parts and components in Australian and the entire globe. The company headquarters are located in Port Melbourne Victoria and has more than 230 dealers in the country. The company had prior to the 2008-09 Global Economic Crisis (GEC) operated with a top team effective model. Despite their success in the Australian market, Holden made the realization that they needed a higher leadership plane and collaboration. The company is under the leadership of a director, currently the position is held by Jeff Rolfs with the new Chair and Managing Director Mark Bernhard expected to takeover in the third quarter of 2015 (Company website). Due to the 2008-09 GEC which lead to a decline in consumer demand, Holden Manufacturing adopted various strategies aimed at improving productivity through support on innovation. These include an environment that encourages open communication and upward communication. According to Buddhodev (2011), the most essential part in the communication process is receiving and feedback by the receiver of the message. Feedback in any communication is the indicator that the message has been successful. Moreover, through feedback, the source of the message has an opportunity to explain the message better, make it clearer for easy understanding, or provide additional information as maybe required. The top management in an organization plays the role of leadership and management (Arif et al. 2009). The leadership and management role involves making decisions on the operation of the company and supervision. Holden recently recruited a Management Board made up of nine diverse executives (HayGroup n.d). The board is tasked with the role of achieving results, delivering realistic business growth, and recognition of the various potential in the organization. 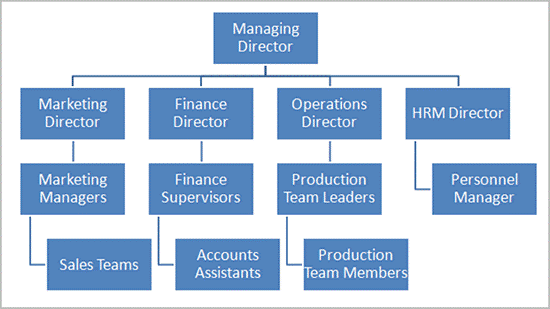 These roles involve mainly making decisions which drive the operations of the company (Boga & Ensari 2009). The leadership and management structure of Holden under The Board is centralized. As described by Bisel et al. 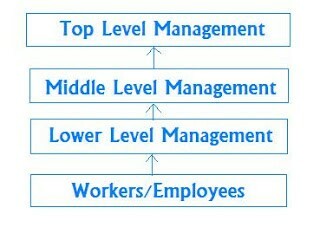 (2010), centralized is an extent in which decision making is a reserve of the top management. In Holden, The Board is the decision making organ and the decisions are passed down the entire organization to the relevant departments through a top down communication. However, after the 2008-09 GEC, Holden diluted the structure to take into consideration employees/workers opinions through feedback of the decisions made by The Board (HayGroup n.d). The resulting structure is a two way communication structure referred to by Bisel et al. (2010) as the symmetrical communication. Interpersonal skills according to Boga & Ensari (2009) are the most critical requirement in organizational communication because it determines the day to day operational success in an organization. In Holden, interpersonal skills are used in horizontal communication between employees in the same work category, department or venue. This main method of communication is verbal communication and it makes use of various communication aids including emotions, gestures, tones, and intonations. Interpersonal skills are used in internal communication in an organization. According to Ergen (2010), internal communication is a discipline concerned with examination of how human resource personnel communicate and the nature of the communication system. Internal communication can either be formal or informal, related to the organizational operations or personal communication. Internal communication is a multidimensional construct. For successful communication, either verbal or nonverbal, it requires a variety of interpersonal skills (Keyton 2011). In Holden ltd, the most popular concepts in interpersonal skills in internal communication include; the communication climate, the flow of communication (vertical and horizontal), and the type and frequency of subordinate-supervisor communication. In cases of frequent supervisor-subordinate communication, there is the possibility of the communication degenerating to informal communication. The two most common types of communication in Holden Ltd. as well as any other organizational setup are the symmetrical and asymmetrical communication. 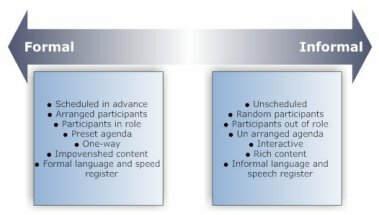 Symmetrical communication takes place through listening, dialogue, conflict management, and negotiation rather than through persuasion, ordering, and manipulation (Bisel et al. 2010). Asymmetrical communication on the other hand is a top-down model and its aim is to control employees as the management desires. This method is common in dictatorial leadership styles. 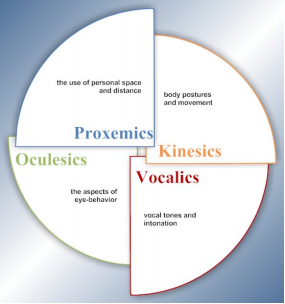 In Holden, the methods used currently are generally a blend of both asymmetrical and symmetrical communication depending on the communication environment, purpose of the communication, and the urgency of the communication. According to Gunaratne (2008), organizational culture and climate are a critical aspect of any organization as they determine the environment of the organization. The environment within an organization has a direct effect on the success of the organization in realizing its goals. The work culture determines the climate and according to Christensen & Cornelissen (2011), there are various types of organizational climates; rule-oriented, goal-oriented, people-oriented, and innovation-oriented. These climates are founded on the work culture and what the top management considered as the primary focus for the success of the organization. Organizational culture on the other hand is described as being a uniform perception about a given organization, it is descriptive, has common features, and it has the potential to differentiate one organization from another (Gunaratne 2008). According to Christensen & Cornelissen (2011), organizational culture is the reason why employees will prefer working for one organization and not another. Work culture arises as a result of the management science in practice, sociology perspectives, psychology, and anthropology. In GM Holden, the work culture can be defined as ability utilizing, goal realization, growth and innovation. This culture is essential for the realization of the company goals which is require being constantly innovative for example, the innovation of smaller vehicles with lower fuel consumption so as to remain competitive in the motor vehicle industry (Company website). The culture and climate of the company are highly intertwined but they work to promote free and open communication of quality and quantity information for growth and innovation. The organizational communication structure and style practiced in GM Holden Ltd. is appropriate for the realization of the company goals. Above is a discussion of the various aspects involved in the communication structure in the company. The top down communication method that is adopted by the top management is a suitable way to pass resolutions and operational decisions. However as argued by White et al. (2010), for every staff members in the organization to own and take up the decisions made, they need to be involved in the decision making process. In GM Holden, the Board is responsible for decision making, which excludes the lower ranking employees. To better the decision making process and bring on board every members of the company, the top management should seek employee opinions and forehand then have these considered by the top management in decision making. The authoritarian leadership style outdates and irrelevant to the modern day workforce and moreover in the motor vehicle niche GM Holden operates in as openness and democracy is required to promote innovation. According to Keyton (2011), innovative companies require democratic, personal relationship, and team-oriented culture, which has been shown to boost innovation. This work culture and climate according to Christensen & Cornelissen (2011) has proven to be successful in innovation-intensive companies like IT and mobile design companies. GM Holden has so far made remarkable strides in motor vehicle design, building, and assembling. The organization has an elaborate communication structure is embraces both top down and upwards communication model with the top management passing operational decisions and employees passing feedback respectively. The company has an authoritarian leadership model exercised by the top management but democracy among the employees and supervisors. The culture and climate of the company is designed to promote goal realization, innovation, and growth, and relationships. However, the company could do better by doing away with the authoritarian leadership model by the top management, and seeking employee opinions and ideas before the top management could deliberate on the management of the company. Arif, M Jan, K Marwat, AA & Ullah, I 2009, Performance enhancement through effective communications: A case study of the role of external and internal communication. Interdisciplinary Journal of Contemporary Research in Business, 1, 119-146. Buddhodev, SA 2011, Conflict management: making life easier, The IUP Journal of Soft Skills, 5 (4), p. 31-43. Keyton, J 2011, Communication research: Asking questions, finding answers (3rd ed. ), New York, NY: McGraw-Hill. White, C Vanc, A & Stafford, G 2010, Internal communication, information satisfaction, and sense of community: The effect of personal influence, Journal of Public Relations Research, 22(1), 65-84. Ashcraft, KL Kuhn, TR & Cooren, F 2009, Constitutional amendments: “Materializing” organizational communication, Academy of Management Annals, 3(1), 1-64. Hackman, M & Johnson, C 2009, Leadership: A communication perspective (5th Ed.). Prospect Heights: Waveland. Hargie, O & Tourish, D 2009, Auditing Organizational Communication, New York: Taylor&Francis. Schoeneborn, D 2011, Organization as Communication: A Luhmannian perspective, Management Communication Quarterly, 25, 663-689. Wehmeier, S & Winkler, P 2013, Expanding the bridge, minimizing the gaps: Public relations, organizational communication, and the idea that communication constitutes organization, Management Communication Quarterly, 27(2), 280-290.